Established in the year 1995, New Look Leather is one of the leading manufacturers, exporters and suppliers of an exclusive collection of pure leather, perforated leather, leather products, industrial leather and gloving leather for garments. The products offered by us include Industrial Leather, Finished Leather, Leather Bags and Leather Wear. 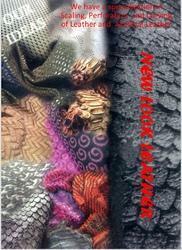 Our range exhibits softness, superior quality and enduring beauty. 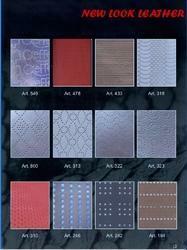 Moreover, we provide these products in numerous designs and innumerable finish variations. 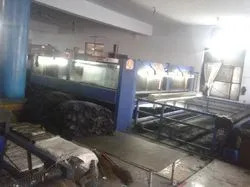 Our manufacturing operations and tannery division ensures eco friendly production. 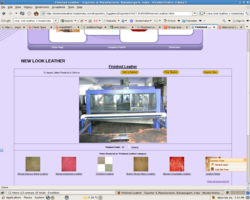 We have emerged as one of the leading tanners of semi finished leather, pure leather, perforated leather, leather products, industrial leather, perforated leather, colored sheep leather, wet blue leather, goat leather, goatskin leather, sheepskin leather, finished leather, semi finished leather, buffalo skin leather, goat finished leather, buffalo finished leather and finished leather for garments and goods. Our team of experts keep themselves updated with the latest market trends, which helps in providing the product range in exotic colors and finishes in sheep, goat, and buffalo. 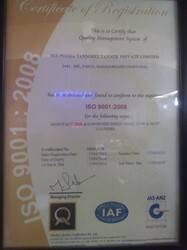 Under the profound guidance of our owner Mr. Rakesh Pahuja, we have been able to raise our export percentage to 70%. His visionary approach and sharp insight has earned us a turnover of 200 Million INR. 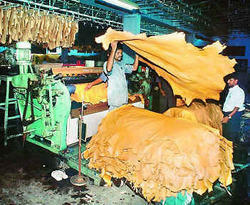 Manufacturing AND Trading of Pure Leather. Catering to the requirements of our clients spread across the globe, we manufacturer and export an enticing assortment of pure leather, perforated leather, leather products, industrial leather and gloving leather for garments. Our array comprises Industrial Leather, Finished Leather, Leather Bags and Leather Wear. These are prepared using the skin of sheep, goat, and buffalo processed in our own tannery unit. Moreover, the leather is also procured from our reliable sources located at New Zealand, South Africa and Iran. Besides the above mentioned products, we also manufacture a wide array of Semi Finished Leather, Grey Sheep Distress Leather, Sheep and Goat Vegetable for Garment, Sheep Gloving Leather, Goat Nappa Leather (For Garments & Bags), Gloving Leather for Garments and Sheep and Goat Wash.
Tanning is a chemical process in which raw animal hides are made to be used in the production of leather products. This strong and flexible leather resists decay and spoilage. The process is executed in the tannery where the raw skin is chemically treated to preserve quality and natural beauty. We have developed an in-house tannery unit where our team of expert professionals undertakes the tanning process. Our unrivaled position in the global market has been the outcome of the meticulous efforts of our team of professionals. With the assistance of our leather experts, we are able to manufacture different types of leathers. Our designers have all-inclusive knowledge of latest trends and implement them in leather bags and garments. To produce zero defect products, our quality controllers carry out inspection at every stage of production. 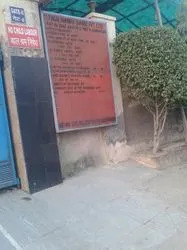 Owing to their united efforts, we have been able emerge as a renowned manufacturer and exporter. Our team members also focus on manufacturing leather products in compliance with client’s requirements. Thus, our unmatched range shows the perfect blend of creativity and adroitness of our proficient professionals.